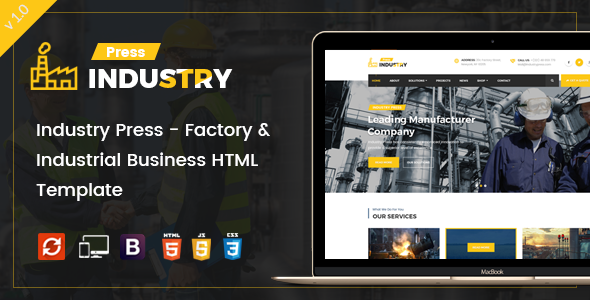 Industry Press – Factory & Industrial Business HTML Template developed specifically for all types of industry, technique, engineering or machinery businesses. Industry press is a professional responsive site template coded with Bootstrap framework. The template comes with a creative homepage design layouts, responsive and 15+ valid HTML files. The design is very elegant and modern, and also very easy to customize with 1170px grid. We hope so you will feel happy with them. The Industry Press template coded with beautiful and clean codes! Some powerful HTML files 100% valid W3 web standards.